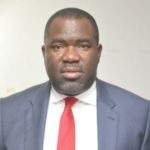 Biodun Otunola (CEO, Planet Project Ltd) talks about ongoing transport reforms in Lagos including traffic management and the Bus Reform Project. Biodun Otunola (CEO, Planet Project Ltd) describes the importance of political support and dedicated project teams in implementing transport reforms, using Lagos as a case study. Biodun Otunola (CEO, Planet Project Ltd) provides a case study of implementing transport reforms in Lagos, Nigeria.